TILBURG 5 February 2018 – Gramercy has acquired a 40,618 sqm logistics warehouse in Tilburg, the Netherlands, for a purchase price of €27 million for its latest fund Gramercy Property Europe III Ltd (“GPE III”). Gramercy Europe Limited is a real estate investment fund manager specialized in sale-leaseback and build-to-suit transactions with a focus on logistics and industrial real estate.The building is let on a ten years triple-net lease to PartyLite, a global home décor and fragrance provider, and represents the tenant’s sole EMEA distribution centre, strategically well located in Tilburg. The 40,618 sqm warehouse is well situated on the 300-acre Vossenburg industrial estate and was extended by the tenant in 2006. 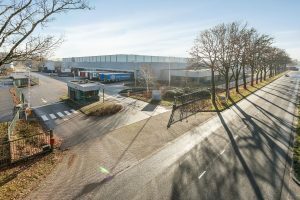 Tilburg is one of the most important logistics hubs in the Netherlands, being well located at the junction of a number of key north-south and east-west arterial routes meaning it is particularly well-suited for international distribution. It is also close to the Tilburg barge terminal, which connects via canal to the main sea ports of Rotterdam and Antwerp. Gramercy Europe was advised by INDUSTRIAL real estate partners in this transaction. CBRE advised the seller PartyLite.